Copyright (c) – Silvertone Records Ltd.
Phonographic Copyright (p) – Silvertone Records Ltd.
Repress with cream labels and red Silvertone logos. Inner sleeve has John Squire's 'Waterfall' painting on one side and band photos on the other. 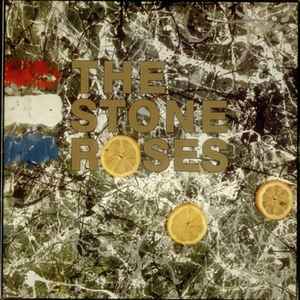 'The Stone Roses' is in gold on the front of the sleeve however with non-embossed lettering.